In such a rivaling hiring environment, it can be difficult to compete with other job seekers. 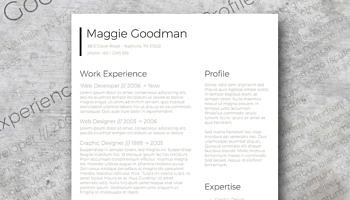 If you haven’t already, it may be time to revisit your resume and polish it up a bit. 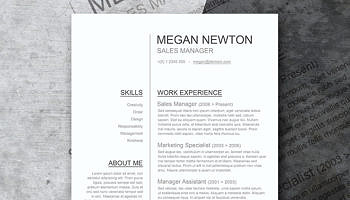 With a clean, updated, stylish look, your resume can get past the “gatekeepers” and open up new job opportunities for you. 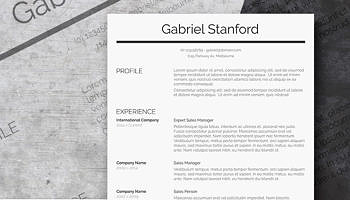 Professional Clean resume template is the perfect place to start. While the other applicants may rely on over the top designs, this one powerfully yet subtly lets you shine, making it a solid choice for those after positions in the traditional corporate companies. 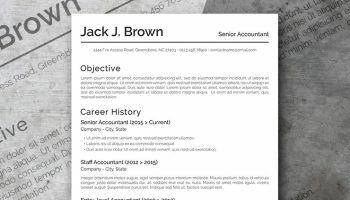 This template features a clean layout with subheadings that make it exceptionally easy for hiring managers to find the information they need. 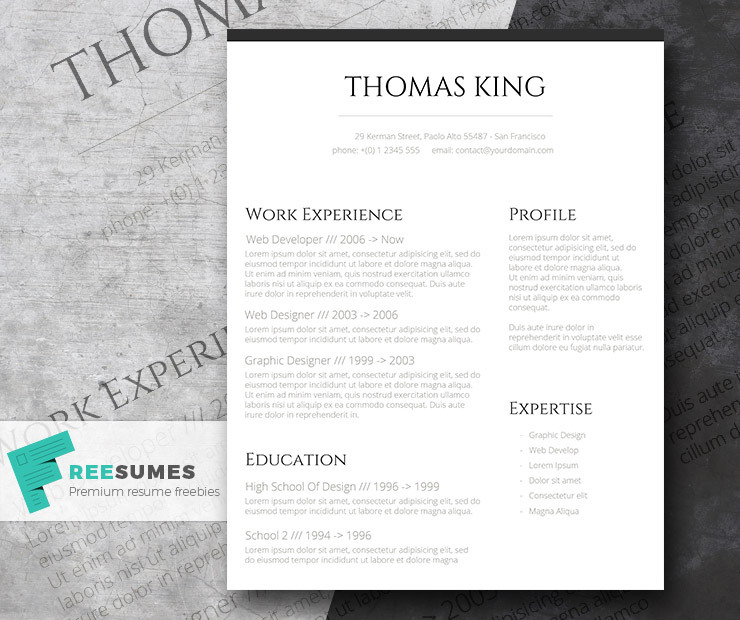 It adds just the right amount of interest to an old, boring resume. If this is the template for you, feel free to download it right away. Edit it as you please through MS Word or other compatible software. Then, when you are perfectly satisfied with the results, please leave a review. We are always interested in your feedback! This is a very pretty CV. Thank you so much! You’re very welcome, thanks for your comment! 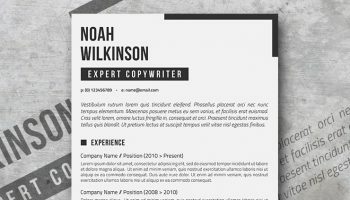 Great CV, however I would really like to know the name of the font used in the title, as it doesn’t transfer when I open the document in Word. Thanks. Hi Tom, thank you for your kind words, I’m glad you like this resume! Please note that you need to download and install the fonts listed in the documentation before opening the template otherwise MS Word will replace them with your default system fonts. FYI, the fonts used in this template are Open Sans and Cinzel. You’re very welcome Lari, thank YOU for your kind feedback!